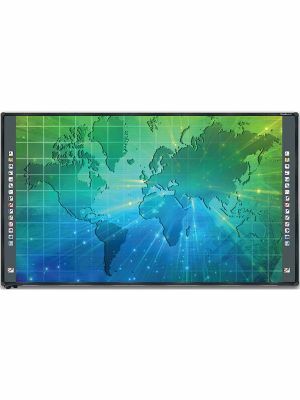 SmartBoard SBM685 Interactive Whiteboard is a leading product in the educational class of collaborative communication markets. This comprehensive package is the perfect educational tool for teachers and students to learn in an interactive way. 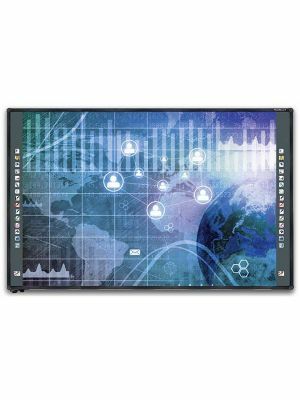 SmartBoard SBM685 is an 87” interactive whiteboard panel that employs DViT touch sensing technology. This state of the art technology sports a dual touch capability as well, giving users the experience they desire. The most distinguishing aspect of the touch technology is its ability to detect a wide range of gestures, making its use exceptionally intuitive. The SBM685 is equipped with SMART Ink function and SMART Notebook software support for further ease of use. SMART Ink is a remarkable function which is designed to give users the feel of writing with a normal pen when they are using a digital pen. The digital ink is seamless in following all pen movements that gives great handwriting, even on the whiteboard surface. SMART Notebook is an essential for teacher. It provides them with all the necessary tools to pre-plan their lectures, prepare them using carious educational resources, and deliver them in classrooms in an engaging way. SmartBoard SBM685 Interactive Whiteboard is the ideal educational product for modern schools that focus on teaching a more extensive, personality building curriculum. All modern day classrooms involve collaborative and interactive work which involves the joint participation of students and teachers. Not only this, interaction with the medium of instruction is also a critical aspect is successful learning. 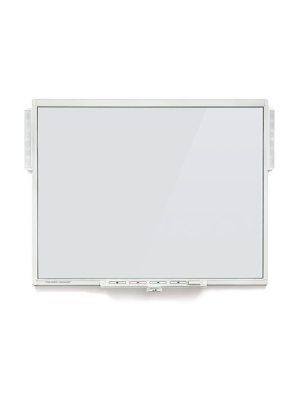 SmartBoard SBM685 comes with a variety of features which host novel and intuitive technologies that allow users to write, draw, annotate and edit figures, drawings, models, sketches and objects. Smartboard comes with a unique set of technologies which encourage and facilitate collaborative work. Its dual touch feature, for example, allows teachers to teach their students in a unique way whereby the teacher and the students can write or draw simultaneously at the board. Digital ink pens make neat and legible writing easy while touch feature allows to move, select or swipe objects to desired positions. As SmartBoard SBM685 is a classroom touchboard, it needs to always generate interest among its users and not allow them to get bored. 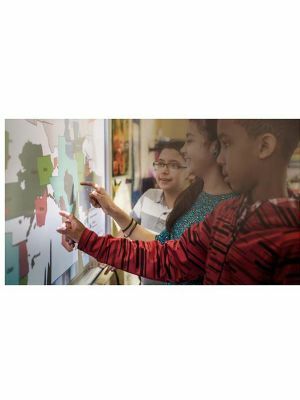 Now students can enjoy a more beautiful, brilliantly detailed 4k and HD images without the downtime associated with replacing projector bulbs and without shadows glare or washed out images interfering with the lesson. These new smartboard solutions encourage both the process and product of learning, building skills, as well as knowledge. The high definition screen makes sure that eyes are always glued to the screen are able to appreciate each and every feature of the relevant objects. You can install SMART Product Drivers and SMART Notebook™ collaborative learning software from the included DVD or from smarttech.com/downloads. Software upgrades are available from smarttech.com/software. Enables you to write, to erase and to perform mouse functions by touching the interactive whiteboard with your finger or a pen. This interactive whiteboard also features gesture capability, providing a natural and flexible way to interact with content. Support for two simultaneous touches enables up to two users to interact with the interactive whiteboard by using the included pens or other objects, or by using their fingers to write and to perform gestures. Smooths out the appearance of the digital ink, improving the legibility of your handwriting. The ink becomes an object you can move and manipulate. The pen tray connects to the interactive whiteboard. Use the color select buttons to change digital ink colors. The on-screen keyboard, the right-click and the orient features are also accessible with pen tray buttons. The hard-coated steel surface is durable, is optimized for projection and is compatible with dry-erase markers. 1.8 m (6') power cable. Power consumption is less than 7 W (100V to 240V AC, 50/60 Hz, 5V DC 2.0A). Q. Can two students write on SmartBoard SBM685 Interactive Whiteboard at once? A. Yes, its dual touch feature allows two users to write on the board simultaneously. Q. Can different colored pens be used at once on SmartBoard SBM685 Interactive Whiteboard? A. Yes, with its pen IQ, the system allows different colored pens to be used at once. Q. 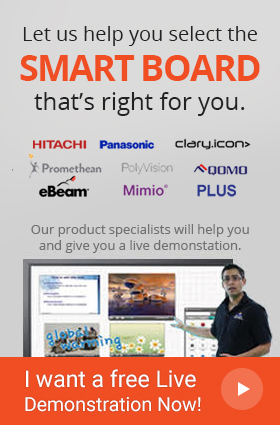 Which operating systems are supported by SmartBoard SBM685 Interactive Whiteboard? A. SmartBoard SBM685 Interactive Whiteboard supports windows and Mac OS. Q. What does the SMART notebook software do in SmartBoard SBM685 Interactive Whiteboards? A. The SMART notebook software assists teachers is organizing and planning out lectures.